Lunges are the bread and butter of leg workouts—just make sure you're doing them right. Lunges are a staple exercise. If you've never loved them much, now's the time to switch camps. 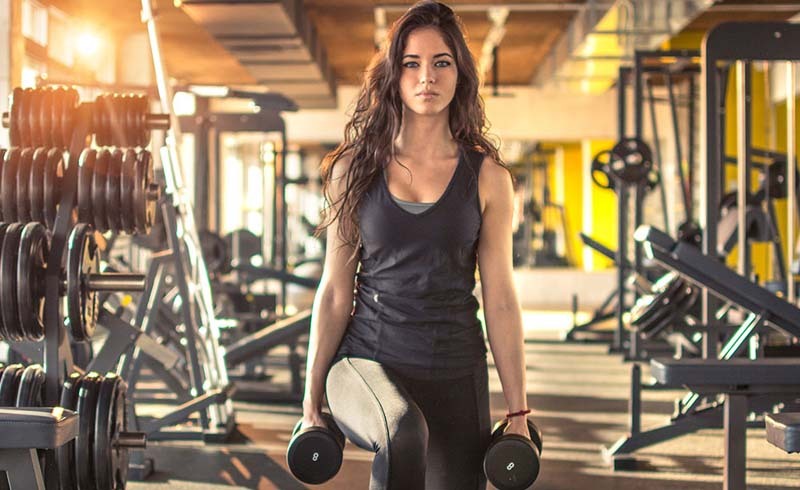 Lunges train your glutes, hamstrings, quads, and core—and best of all, they hit them all at once to burn major calories, says Holly Perkins, C.S.C.S., author of Lift to Get Lean and founder of Women's Strength Nation. Bonus: You can do them anywhere. If you're planning on incorporating lunges into your routine, however, make sure you're not doing more harm than good. Doing lunges with poor form or bad alignment can irritate your joints—especially your knees, according to Sabrina Strickland, M.D., an orthopedic surgeon in the Women's Sports Medicine Center at Hospital for Special Surgery in New York City, in 7 Workouts Secretly Causing Knee Pain. A good rule of thumb: If you feel pain in your knees, check the form pointers below to make sure you're doing them right. You can also try taking smaller steps or not lowering as far down. Once you've mastered how to do a forward lunge correctly, you can move on to reverse, side, and walking lunges to hit all the different muscles in your legs. Ready to learn how to do lunges correctly? Check out this easy-to-follow guide and watch the video above—with moves demo-ed by Nike Master Trainer Traci Copeland—to get your best legs ever. Benefits: While forward lunges hit your glutes and hamstrings, this variation—often just called the plain ol' lunge—also zeros in on your quads for awesome thigh strength and definition, says Perkins. Instructions: Stand tall with your feet hip-width apart. Place your hands on your hips, overhead, or grab some weights, and take a slow, controlled step forward with your right leg. Keeping your spine tall and the weight in your heels, lower your body until both your front and back legs form 90-degree angles, and your knees are directly over your ankles. Pause, then bring your right leg backward to return to starting position. Make sure not to wobble! Step forward with your left leg and repeat. Instructions: Stand tall with your feet hip-width apart. Place your hands on your hips, overhead, or grab some weights, and take a slow, controlled step backward with your right leg. Keeping your spine tall and the weight in your heels, lower your body until both your front and back legs form 90-degree angles, and your knees are directly over your ankles. Pause, then bring your right leg forward to return to starting position. Again, no wobbling. Step forward with your left leg and repeat. Benefits: If you're like most women, your workouts rarely take you from side to side, says Perkins. This move does just that to strengthen the glute medius, which is critical to hip stability and fending off running injuries. Instructions: Stand tall with your feet together. Place your hands on your hips, overhead, or grab some weights, and take a big slow and controlled step to the right with your right leg, making sure to land flat on your foot. Keeping your chest up and the weight in your heels, push your hips back, bend your right knee, and lower your body until your right leg is just above parallel to the floor, and your right knee is directly over your ankle. Your left leg should stay straight throughout the entire movement. Pause, then bring your right leg back to starting position. Step sideways with your left leg and repeat. Benefits: The most functional of lunge variations, this one works your muscles similarly to how you walk and run, says Perkins. It is difficult, though, so you may want to work up to it starting with forward lunges. Instructions: Stand tall with your feet hip-width apart. Place your hands on your hips, overhead, or grab some weights, and take a slow, controlled step forward with your right leg. Keeping your spine tall and the weight in your heels, lower your body until both your front and back legs form 90-degree angles, and your knees are directly over your ankles. Pause, then take a big step forward with your left leg. Continue alternating to move forward across the floor. Benefits: Holding a lunge is no easy task, but it's one best left to rehab situations, says Perkins. For instance, if you're recovering from a knee injury. Also, if you notice any weak spots during your forward, backward, or walking lunges, getting into an isometric lunge and holding your most troublesome position can help you strengthen your legs when they're bent at that exact angle, she says. Instructions: Stand tall with your feet hip-width apart. Place your hands on your hips, overhead, or grab some weights, and take a slow, controlled step forward with your right leg. Keeping your spine tall and the weight in your heels, lower your body until you reach your desired depth and hold as long as you can without wobbling or breaking form. Bring your right leg back to starting position. Step forward with your left leg and repeat. A general word on weights: Perform these lunges for four weeks using only your bodyweight before adding dumbbells or kettlebells into the mix, Perkins recommends. Start by adding 10 pounds, and then increase the weight as you feel comfortable.